So what exactly is the hive? 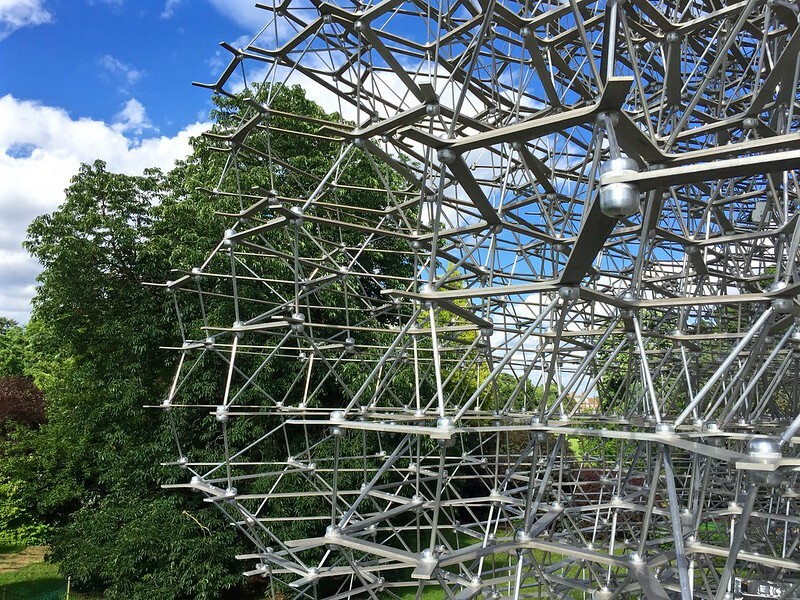 Well, it’s a new attraction at Kew that hopefully will help visitors understand the life of the bee. 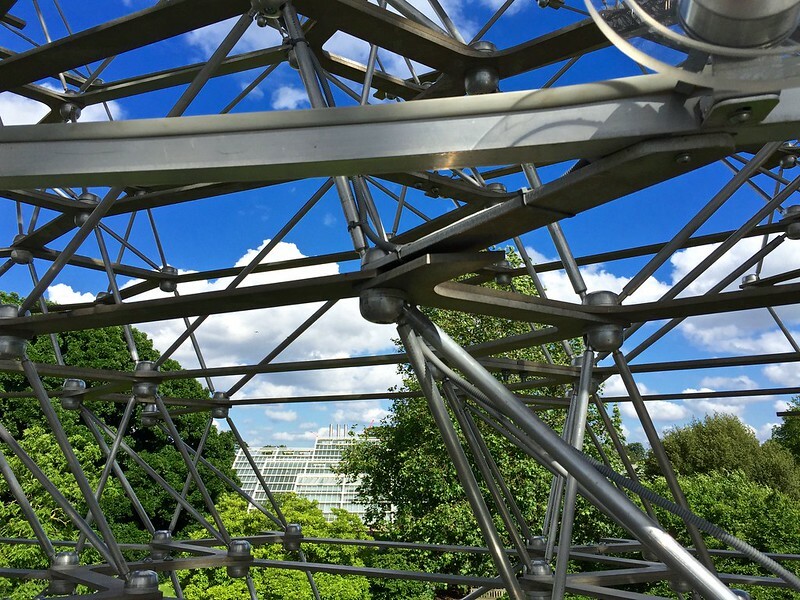 It’s a gleaming seventeen-metre-high aluminium structure that’s like a beehive you can walk into. 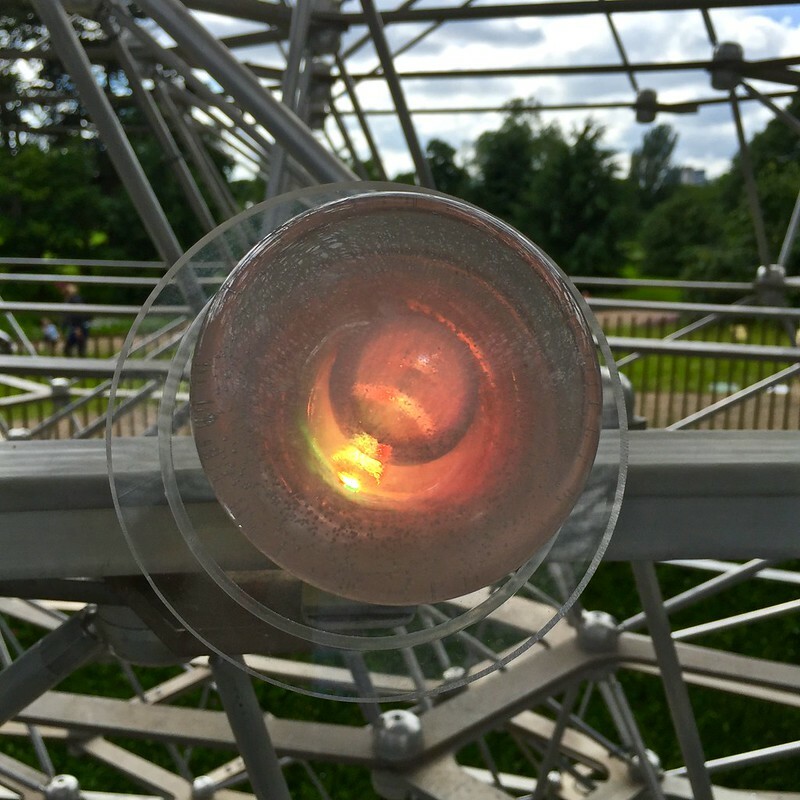 Plus it’s an immersive, multi-sensory experience which is driven by activity in a real beehive in the gardens that activates lights and music. With me so far? The hive stands on a small hill in the middle of its own flower meadow. A curved path leads you upwards though the meadow and across a small bridge into the heart of the hive. Aluminium struts interlock above your head in a lattice to form a circular space, culminating in a central space open to the blue sky. The floor is made of what looks like frosted glass and you can look down through it at the people below. It’s held together in a honeycomb shape. 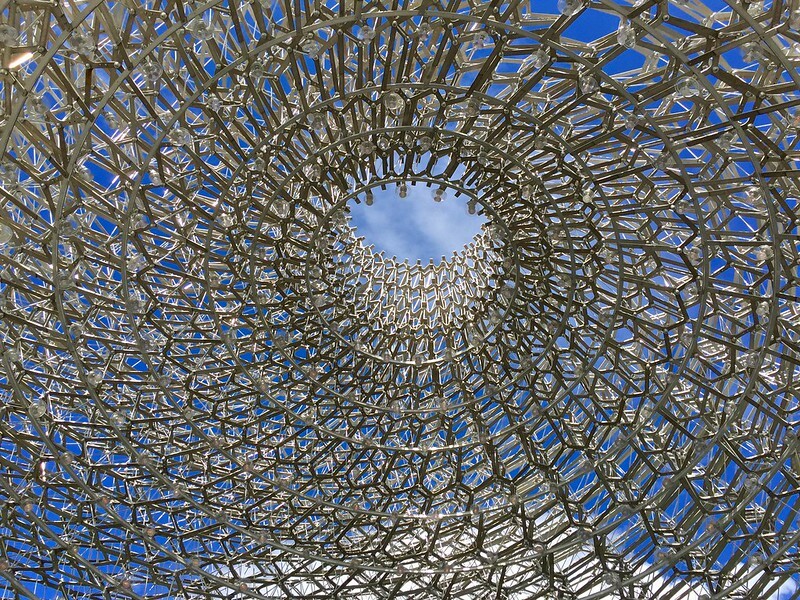 The Hive was designed by Wolfgang Buttress and created by BDP, Simmonds Studio and Stage One as the centrepiece of the gold medal winning UK Pavilion at the 2015 Milan Expo. 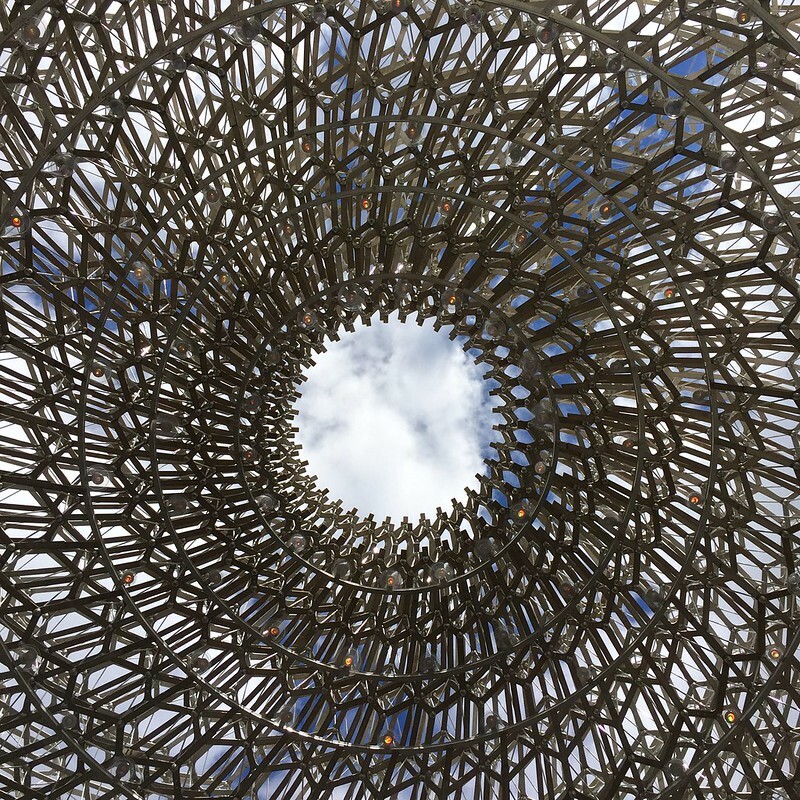 It aims to convey the story of the honeybee and the important role of pollination in feeding the planet, through an immersive sound and visual experience. 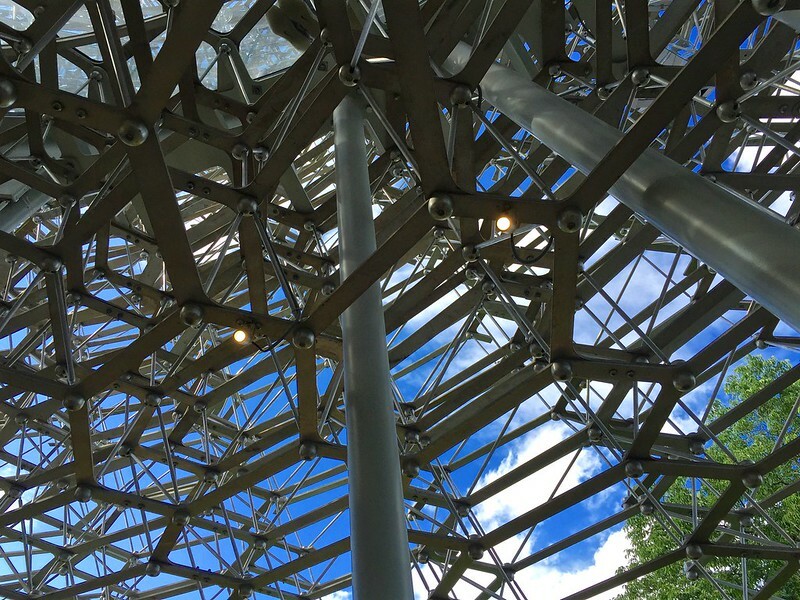 The structure is dotted with hundreds of LED lights triggered by vibration sensors within a real beehive while strange music buzzes and pulses around you. The sound and light intensity increase as the energy levels in the living hive surge, though a sunny day is not the best time to appreciate the light show. 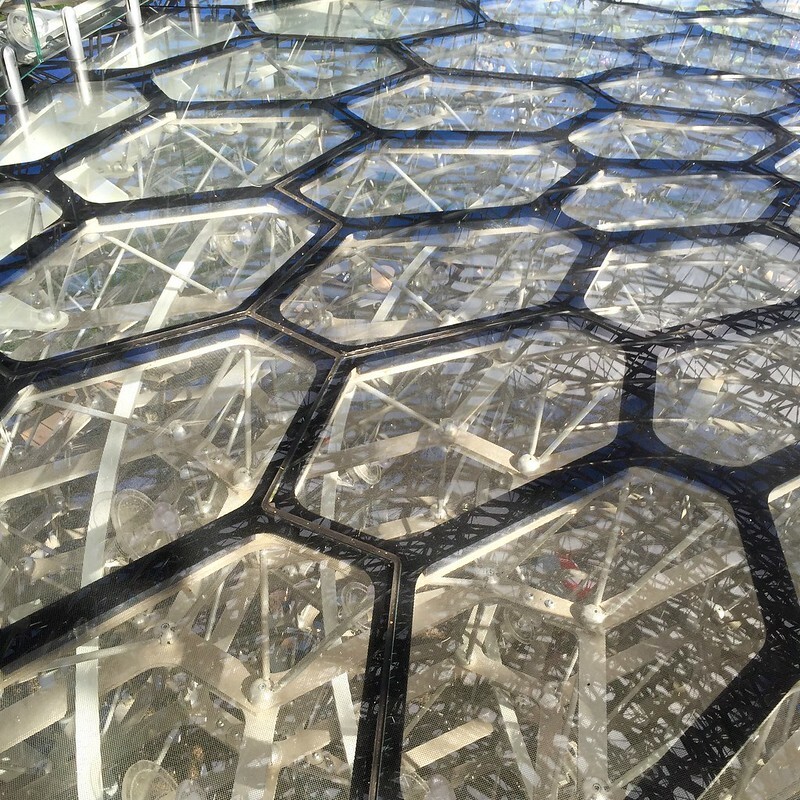 The Hive is inspired by research into the health of bees and their habits. In the lower part of the structure you can listen to bees communicating in an unusual way. 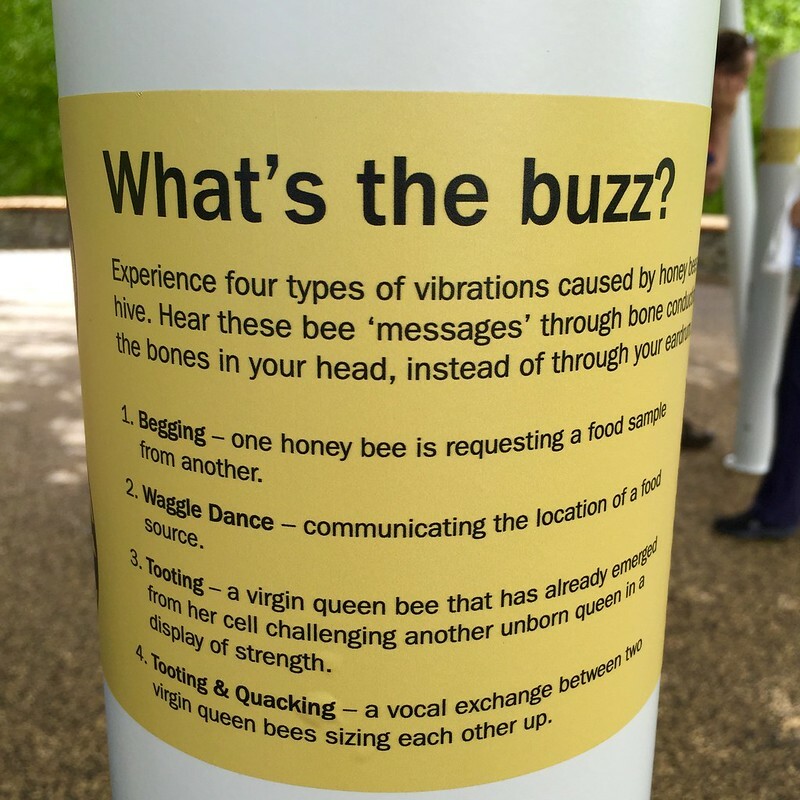 You take a wooden stirrer, hold one end on your teeth and put the other end into a metal slot and put your fingers over your ears to hear bee messages. Or you can just relax and admire the beauty of the structure. 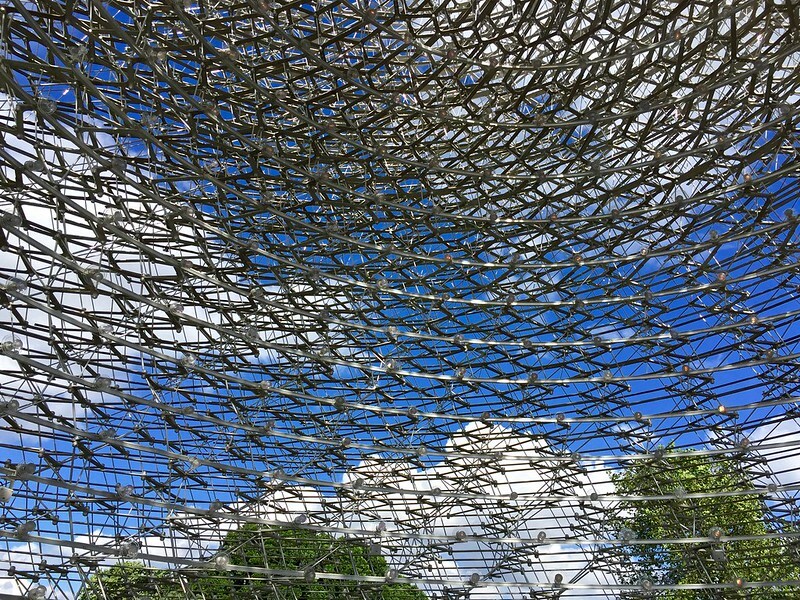 The Hive opened a week ago and will remain at Kew over the summer. Entry to the hive is free though you have to pay for admission to the gardens first. 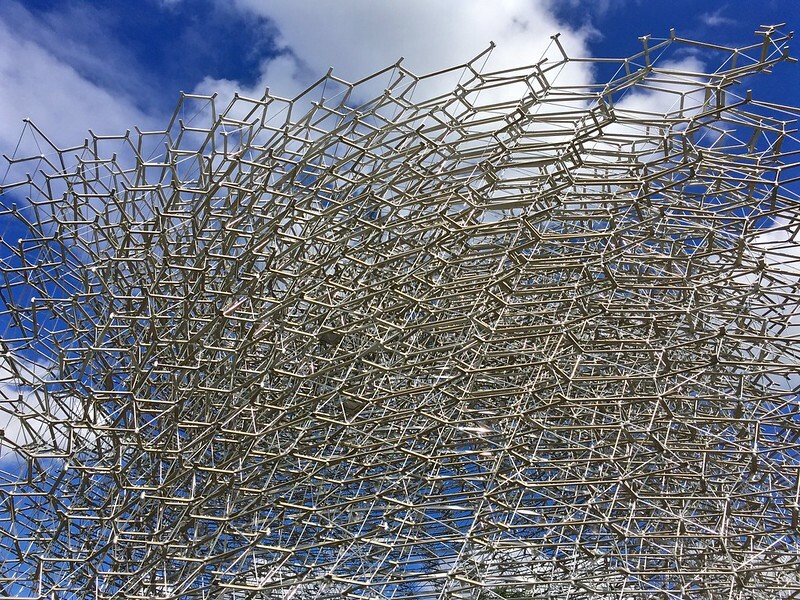 This entry was posted in Kew Gardens and tagged 2015 Milan Expo, arts, bees, gardens, hive, London, nature, Wolfgang Buttress by Fran. Bookmark the permalink. How interesting. We thought we’d seen it before….when we visited the Milan expo last summer! Cool! I will have to take the kids there. I’ve not been since last summer. I’m sure they’ll enjoy it!